Hey there, everyone!! Well, my post is super late...but late is better than never! Tee hee! 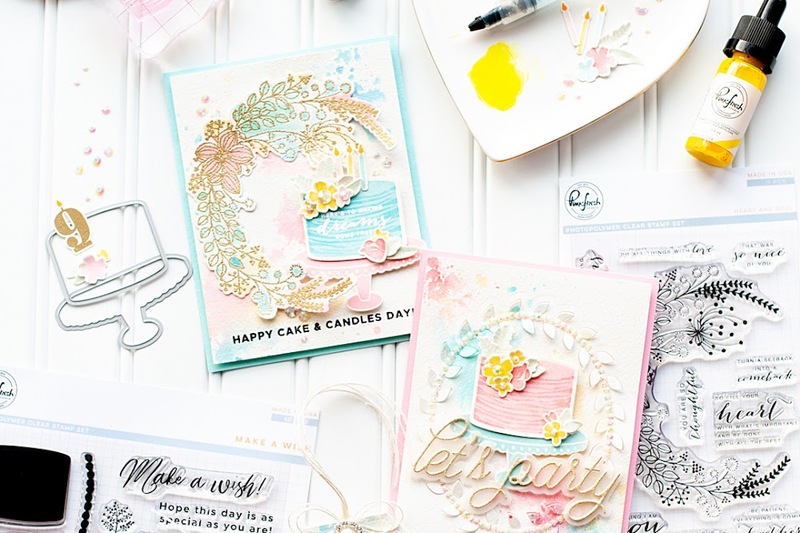 Tonight I am featuring the new stamp set called "Grand Greetings" by Lawn Fawn, which includes some really fabulous super-sized sentiments! 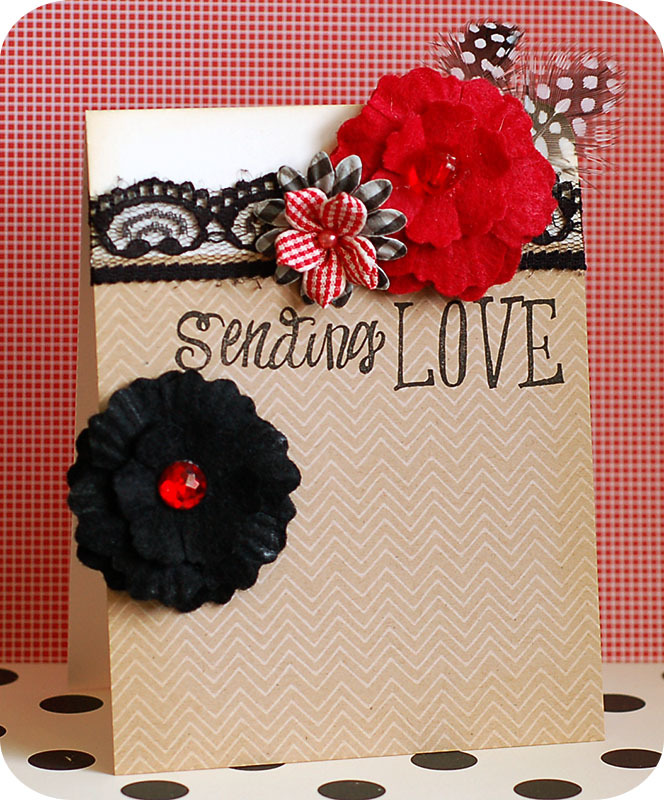 The fonts are really fun as well....so if you love sentiments, then this is a Lawn Fawn set that will be a must have!! 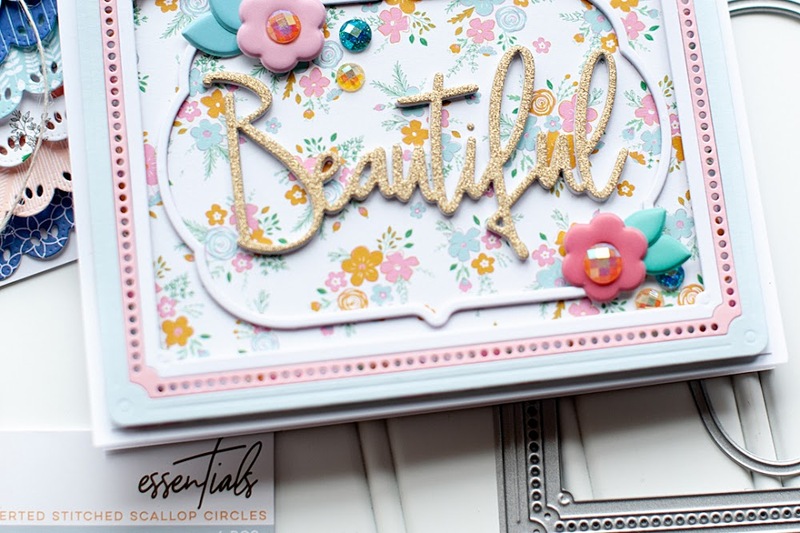 Instructions: Make card from vintage cream cardstock. Round the upper right corner, then distress ink the top half of the card. Cut a block of printed kraft paper, distress in the edges and adhere to the bottom of the card. Stamp the sentiment to the top of the kraft paper. Adhere lace around the top of the kraft paper, then adhere the two larger flowers to the card front. Layer the paper flower and ribbon flower next to the red flower. Add a jewel to the middle of the black flower to finish. I know I am a little late to the game, but my fellow Lawn Fawn designers all created some amazing projects with "Grand Greetings" as well. Be sure to check them out! Pretty card, love the feathers! oh so pretty! The flowers really pop and I LOVE that polka dot feather! It doesn't get any more feminine than this card, Lea! The pop of red adds pizzazz as well, love it!! This card is so pretty! 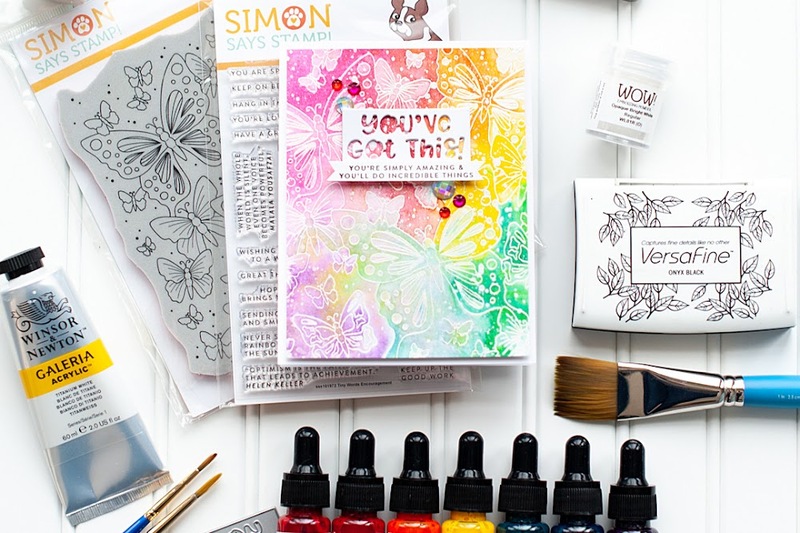 Thanks for joining us at Inky Impressions!